Just had some of this corn & rye bread for breakfast. I cooked up some mushrooms, onions, and tomatoes to go with the bread, since it’s important to have fibre with all your meals. Plus, all the real nutrition comes from plants, while the starch just provides energy. 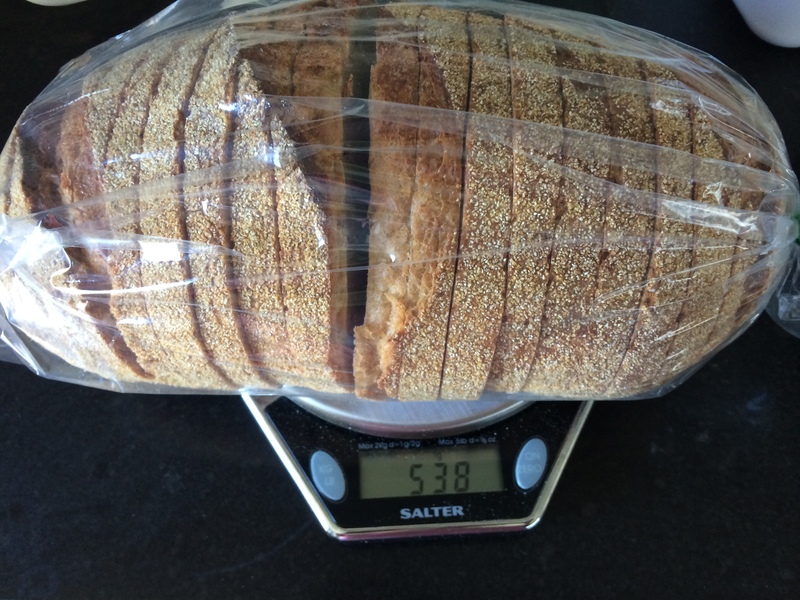 This 540g loaf has about 1500 calories. I won’t have any problems eating all of it today. I’ll bring the bread if I go out to dinner tonight. I finished yesterday’s Walnut Raisin loaf before dinner last night. So, with the butter, some almonds, and a few tortillas, I probably ate about 2500 calories before the Chinese restaurant. Luckily, I rode my bike out there, and worked my appetite back up. I weighed in a little lower today than yesterday, so things are probably going according to plan. I’ll update the graph on my Progress page in a week or two, when we have enough data.